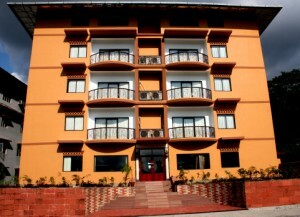 Royal Orchid is a brand new hotel opened on 1st August, 2009. It is situated opposite the main office of FCB, away from hustle and bustle of the town but barely 10 minutes walk if you need to get there. It comprises of twenty four spacious and comfortable rooms. All rooms are air conditioned and provide travelers/visitors with an array of amenities such large LCD TV, mini bar, Tea/Coffee maker and work station with high speed internet access.